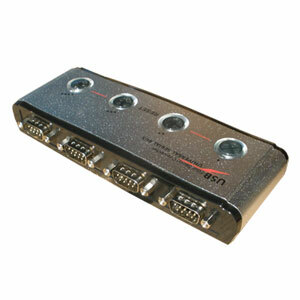 Reviews: Large Selection of USB-RS232 adapters, Easy Installation and Setup of USB RS232 COM ports. First of all I would like to thank usconverters.com for their awesome service and support. Compared to many other online companies you are doing a great job answering all my questions. Im using this usb to serial converter hub for connecting 4 data loggers to my computer. The installation is easy and the converter works perfectly fine, so I can highly recommend this unit and this company.